VIGOR by Bohemia. Coming to Game Preview. Post Apocalyptical. Looks Battle Royale... Yet, more like a survival game. you do not have to engage with battles. As you hoard your base levels up... PVE, not team based. At this time. Just showed Forza Horizon 4, but I missed it. Watching BFV now. This Inside Xbox is REALLY good. Much better show in terms of pacing this time. They’re learning. Inside Xbox returns on Tuesday, September 25 at 4 p.m. ET/1:00 p.m. PT, with a special episode spotlighting Forza Horizon 4. We’ll be live from Great Britain, the setting for the latest entry in the Horizon franchise, at the prestigious Goodwood House. We’ll be celebrating the upcoming launch of Forza Horizon 4 with exclusive news and interviews on the game. More details about the show will be available so stay tuned to your favorite Xbox news sources for the latest! Great show this time...Hollow Knight out now,Phil Spencer with some nice news...good times. I laughed at the media voice control bit... it's just Kinect without the kinect. Inside Xbox will be live on Mixer, Twitch, YouTube, Facebook and Twitter on the 10th of november. Great show this time around...damn Shadow of TR on Gamepass already...I got it for cheap last November,good game. This is the 2nd time he's said we're not ready. Let's see if this "Y'all not ready" stuff he casually thows around is legit. I’ll join you. Loved that game. Next time I will definitely skip Inside Xbox. 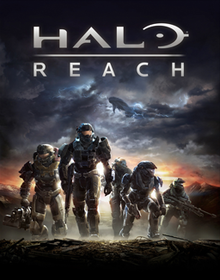 Reach being added was cool, but other than that there wasn't anything to get excited about for me. This episode was great for PC gamers who have been asking for the longest time to play the MCC on PC...not so much for Xbox gamers.